Unique Management Services, the market leader in material recovery, now helps libraries serve their patrons over the phone, live chat, and e-mail. Using the library no longer requires visiting a library building, yet library staffing models often still center on physical locations. Partnering with Unique to serve your off-site patrons by phone, live chat, or e-mail enhances convenience for patrons, drives usage of library resources and services, maximizes staff productivity, and saves money. Unique’s highly-trained specialists serve thousands of library patrons across the country every month, providing consistent staffing and excellent service for these critical customer service channels. With solutions tailored to each library’s particular needs and context, libraries of all sizes partner with Unique to serve their off-site customers. 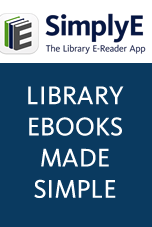 Visit http://librarycalls.com to learn more.